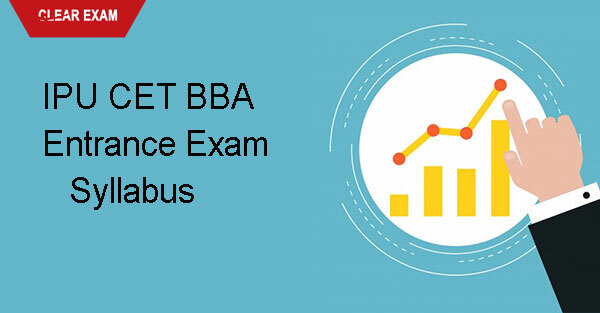 Indraprastha University BBA entrance exam will be for multitudinal strivers who are hankering to study in one of the 18 colleges which offer morning classes for the BBA course and 26 colleges which offer the BBA program in their evening classes. Thus, the students get to choose which classes they wish to attend- evening or morning. Below information will give you an in-depth knowledge of what curriculum has been prescribed by the University for BBA applicants. There are 4 sections in the exam in all which are English, general awareness, numerical ability and logical reasoning. Idioms and phrases and substitution of phrases with a single word. Entire year's current affairs related to sports, science, culture, industry, economy, and politics. Events taking place at the national and global level both. Static GK on geography and history are exigent. Patterns, trends, completing series, finding analogies based on relationships, assessment of diagrams and figures. Dices, cubes, clock, directions questions. Coding and decoding. Coding means that a word in English is coded in a new way and you have to study that pattern and apply the code to a new word so the task at hand is deciphering the code. Statement argument, statement conclusion and statement assumptions questions. This section will test your aptitude for management since it is the BBA course in which you wish to seek admission. Here there will be questions about which decision you will take in case of paucity of time in the given circumstances. Overall your question paper will be such that your knowledge of relevant portions, of course, studied till grade XII will be tested but the Maths section, on the whole, is comprised of questions from grade X level.